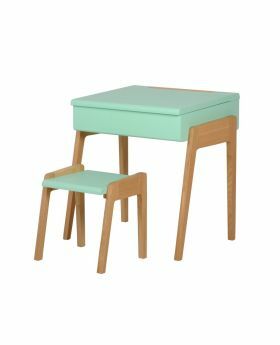 Welcome to Children's desk by Jungle by Jungle - Maternity, Baby and Toddlers. 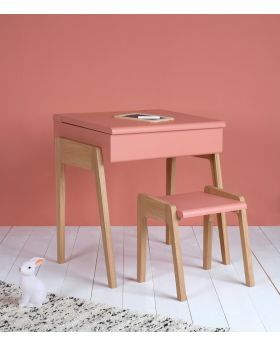 We love this desk from Jungle by Jungle with its soft contemporary lines. It has the perfect design and functionality. The table can be opened providing a large tray to store all pencils and tools. Available in 3 different colours: retro pink, mint green and white. Dimensions: W 54.4 cm x D 38 cm x H 55 cm / 57 cm inclined.